The United States generally has a reputation for doing things bigger than anyone else, and its national lotteries are definitely no exception. Enter Mega Millions, the very definition of the popular saying “go big or go home.” In terms of size, Mega Millions is only comparable to the US Powerball, with the two regularly competing for the title of America's biggest lottery. As such, both games have featured incredible jackpots that have attracted the attention of news sources and lotto enthusiasts from all around the globe. While there are many similarities between these two behemoths, Mega Millions has a few characteristics that make it unique. Also, it currently holds the world record for the largest single-ticket lottery prize that anyone has ever won. As a result, it's one of the world's most popular lotteries. Mega Millions is a lottery that has been around for a little more than two decades since its inception in 1996. Back then it went by the name “The Big Game” and was briefly christened “The Big Game Mega Millions” in 2002, shortly before it officially became the “Mega Millions” that we know today. The first Mega Millions draw ever took place on May 17, 2002, and immediately made one lucky winner from Illinois $28 million richer. From the original coverage of only six states, the lottery has grown to encompass the population of more than 44 US states as well as the District of Columbia and the U.S. Virgin Islands. The current dealings of the game are divided equally among these member states, and hence the lottery doesn’t have a central headquarters. 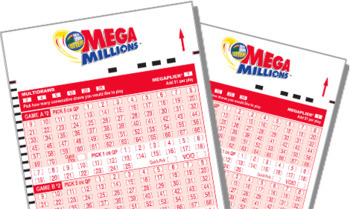 Buying a Mega Millions ticket involves choosing numbers from two pools in two separate drums. In the first pool, you pick out five numbers that range anywhere from 1 to 70. The second pool, known as the “Mega Ball” (which is very similar to the red “Power Ball” in the US Powerball) consists of numbers 1 to 25, from which you can choose one. You get the jackpot only if you match all six numbers. That said, there are other great lower-tier prizes you can win even if you don’t score the main one. Jackpots generally start at $40 million and gradually increase by a minimum of $5 million after each draw. There is no cap on how large the rollover amount can get, and this is why the jackpots can reach astronomical heights. The bigger the jackpot gets, the more people tend to play, which creates an upward spiral that fuels itself. Of course, when a lucky person or persons do win the jackpot, the number is reset to the original $40-million minimum. There are a total of 9 ways through which you can win a Mega Millions prize, with the lowest award being only $2. The prize gradually increases, with the second-highest being a $1 million windfall. Naturally, the probability of winning goes up slowly as the prize value lowers. The odds of winning the Mega Millions jackpot are 1 in 302,575,350, which is actually a bit worse than the odds of winning US Powerball: 1 in 292,201,388. This makes it the second toughest lottery to win in the world, right after Italy's SuperEnaLotto (which has odds of 1 in 622,614,630). Across the pond, EuroMillions (1 in 139,838,160) and EuroJackpot (1 in 95,344,200) both have better odds, but their prizes—though still incredible—don't get quite as high as Mega Millions' do. Fortunately, the overall odds of winning any prize are much better: 1 in 24. There is also the option of a “Megaplier” that offers the possibility to multiply any non-jackpot win by up to 5 times. The value of this awesome prize multiplier is determined right before each draw and chosen randomly from a pool of 15 balls, of which five have 2x marked on them, six have 3X, three have 4X, and one has 5X. Although there is an additional fee for the Mega Millions Megaplier, it’s a small price to pay if it means your already huge prize can be considerably bigger. Within the US, the fee to add on the Megaplier option is $1, which will bring your total ticket cost to $3 even. The Mega Millions drawing is done twice each week, usually on Tuesdays and Fridays at 10:00 p.m. EST at the WSB-TV studios in Atlanta, Georgia, and is closely supervised by the Georgia Lottery. In all the years since the game’s inception back in 2002, Mega Millions has paid out an astonishing 180 jackpots to the extremely lucky owners of 204 separate tickets. Of those, only 20 jackpots were split among two or more winning tickets, and 16 were worth more than $300 million! 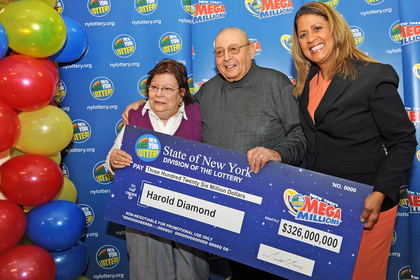 Although winning prizes like this might seem impossible, the stories behind the biggest Mega Millions winners ever show that it can indeed happen to anyone—and change their lives forever. With Mega Millions, it's up to you to decide if you want to collect your winnings as a single lump sum or if you want them paid out in annual payments over 30 years. This latter option is called an annuity payment, and though it'll take a long time to get your earnings, you'll get much more altogether because you'll be taxed less. Plus you'll never have to worry about squandering all your money all at once! Regardless of how high the Mega Millions jackpots climb to, remember that the taxman will be just as excited as you about your win. That's because in addition to a federal tax (of 24% to 37%), there might also be a state tax and even a city tax added on. Therefore, buying your tickets in certain states, like California or Washington, makes most sense because those states do not tax lottery wins. Other states, such as West Virginia (6.5%) and Vermont (6%), do tax lottery wins. In addition, some cities, such as NYC (3.9%), have an additional tax on top of that. As you can see, where you buy your ticket can make a huge difference in how much money you end up taking home at the end of the day, so spending a few minutes to understand the basics of America's lottery tax is something we highly recommend. If you're playing online from another country, keep in mind that your own country may also tax your winnings. Although Mega Millions is officially available to people who are currently living in or at least physically present in one of the 44 states or the US Virgin Islands or the District of Columbia, anyone in the world can play through the best lottery agents and lottery betting sites. Mega Millions – Is It Worth Playing? So, is Mega Millions worth playing? The answer to this is a resounding “YES!” The Mega Millions lottery is one of the biggest and best lotteries in the world. Its jackpots continue to break records and will likely keep doing so for many years to come, especially as more and more people from around the world keep hearing about it and playing it. While the odds of winning a jackpot are certainly tough, the odds of winning a secondary prize are actually surprisingly decent. For just a few dollars and the right amount of luck, you could become the next Mega Millions billionaire. I play lotteries online around the world regularly, and I still can't believe how big some of the Mega Millions jackpots get to be. This lotto completely sums up the American approach to everything, but hey I ain't complainin'!